Gin contains the same number of calories as other distilled spirits such as rum, vodka and whiskey. Unlike calories from food, alcohol calories have no nutritional value. They do provide energy, however, and can cause weight gain if you consume excess. For optimal health, the Centers for Disease Control and Prevention recommends that women have no more than one serving of gin or other alcoholic beverages per day and that men have no more than two. 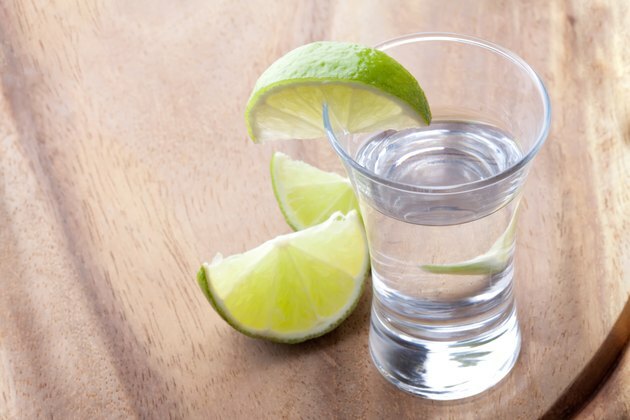 At just 97 calories per shot, pure gin is among the lowest-calorie alcoholic beverages you'll find. A standard shot of gin is 1.5 ounces, and a larger serving, such as in a martini, will contain more calories. Mixing your gin with tonic or other sweet mixers will also cost you extra calories: For example, 3 ounces of tonic water adds about 30 calories to your drink. Olives or other garnishes may contribute to the total as well.